Hat tip again to Seth Fitzsimmons. 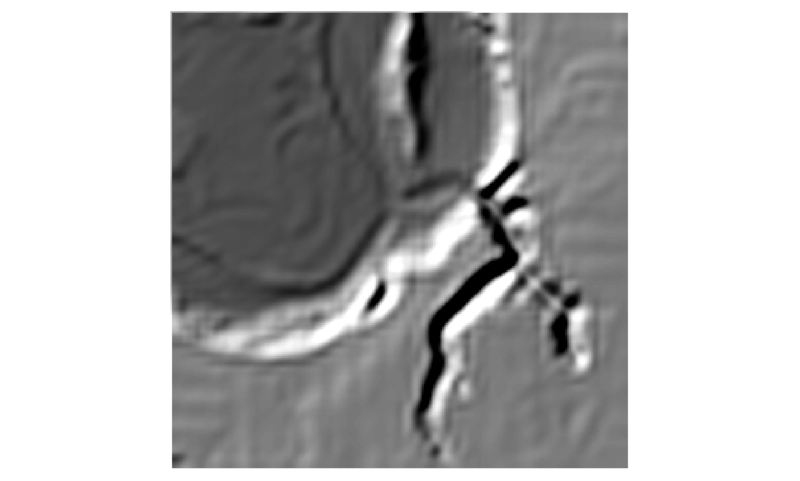 I’ve been looking for a good, easy to use smoothing algorithm for rasters. Preferably something so easy, I don’t even need to write a little python, and so efficient I can run it on 30GB+ datasets and have it complete before I get distracted again by the next shiny project (a few hours). Code to do this in gdal follows. “-tr” sets our resamping resolution, “-r lanczos” sets our resampling algorithm, and the “-co” flags are not strictly necessary, but I’ve got a 30GB dataset, so it helps to chop up the inside of the TIFF in little squares to optimize subsequent processing. But, we can also use this for analyses. For example, if we difference these smoothed images with our original digital elevation model, we get a measurement of local elevation difference, the first step in establishing where valleys, ridges, and other land forms are. gdal_calc -A oh_leap_dem_3-328_m.tif -B oh_leap_dem_3-328_m.tif --A_band=1 --B_band=2 --outfile=oh_leap_dem_lp_328.tif --calc="A-B"
Pretty snazzy riparian finder. 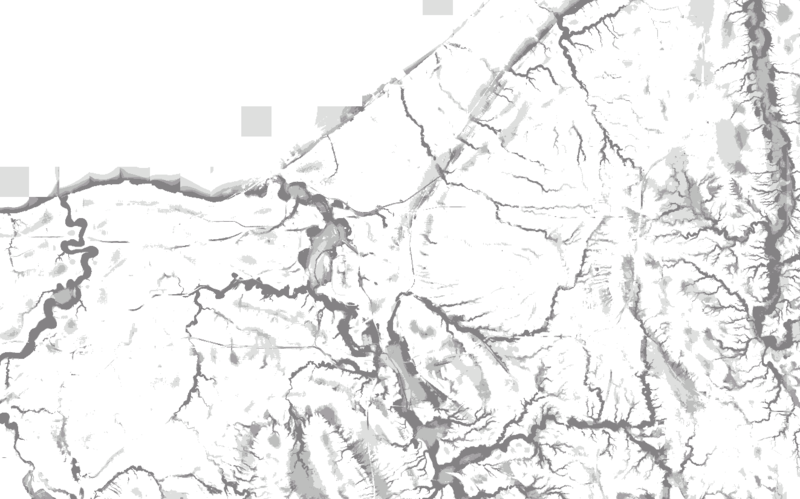 It seems to also find upland headwater wetlands (most of them historic and drained for Cuyahoga County). I am now running on 4 million acres of Ohio at a 10ft (~3 meter) resolution. It’s that efficient. Addendum: It also finds escarpment edges, like the Portage Escarpment in the above, so it is a mix of a few landforms. Darn handy nonetheless.